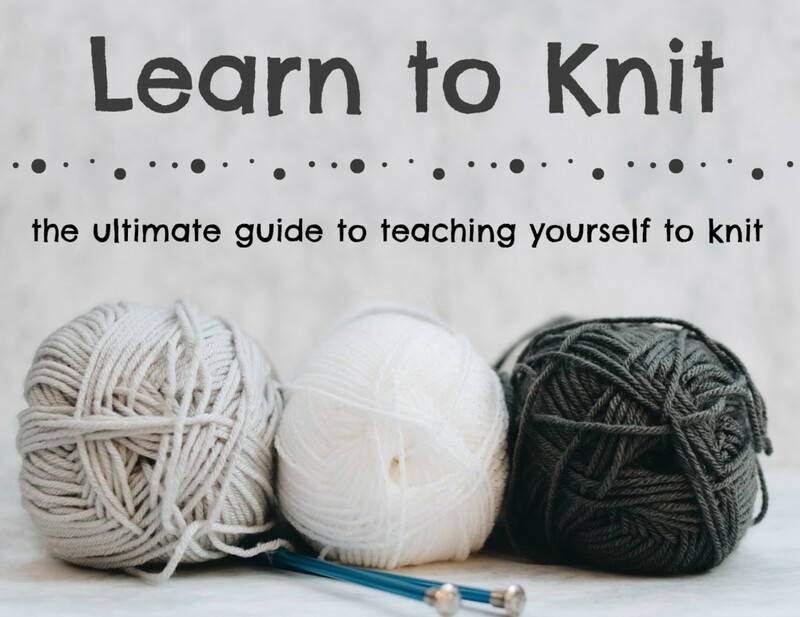 I have taught many people how to knit, and have found that casting on is always the hardest part for beginners to catch on to. This might be because we usually only need to cast on at the beginning of a project, so knitters don't spend a lot of time casting on. 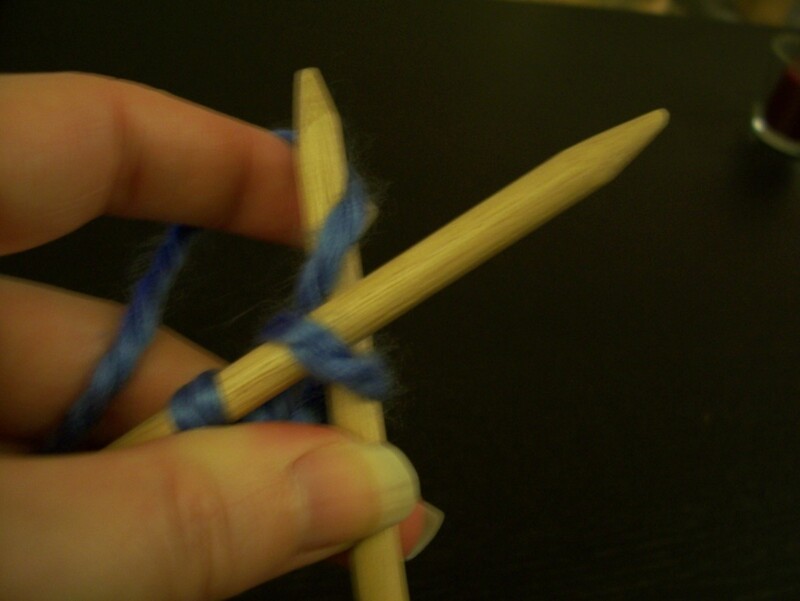 But, practice makes perfect, so feel free to practice casting on for awhile before moving on to knitting stitches. Every knitting projects begins with a row of foundation stitches. You make a foundation row by casting on. 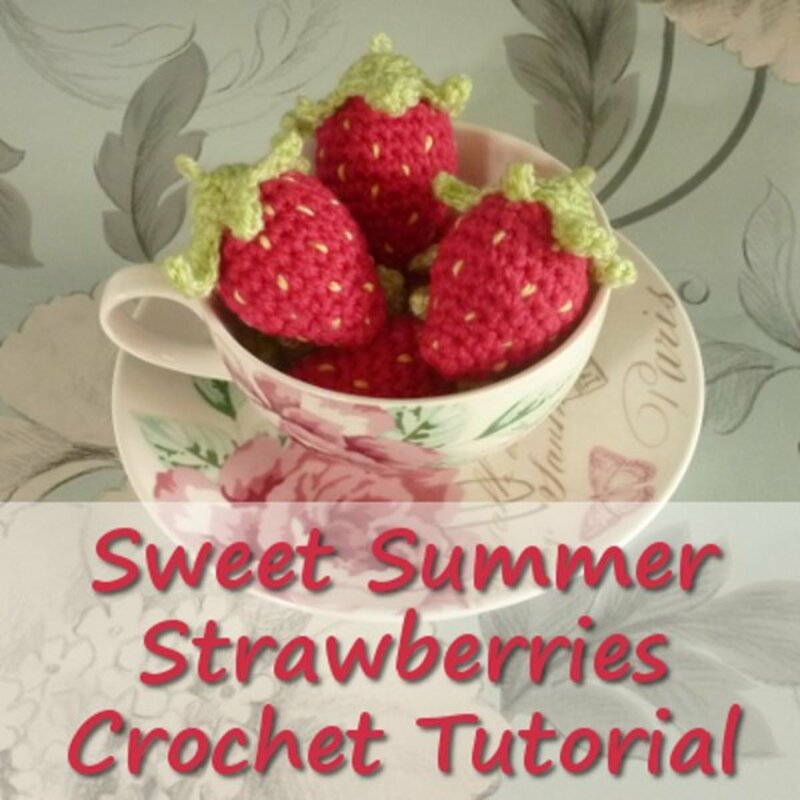 There are as many different ways of casting on as there are knitters, but I'm going to outline the easiest method I've found found for beginners here. 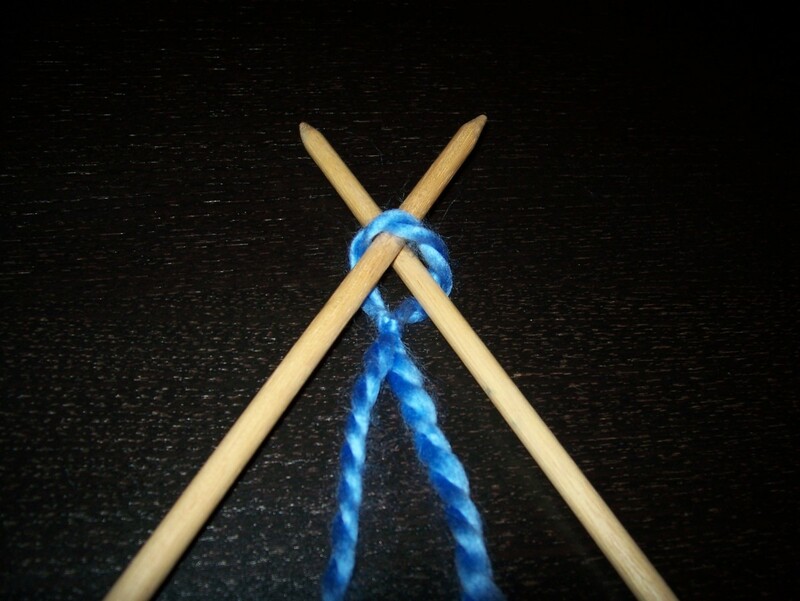 Make a slip knot on one needle. (Need to learn how to make a slipknot? 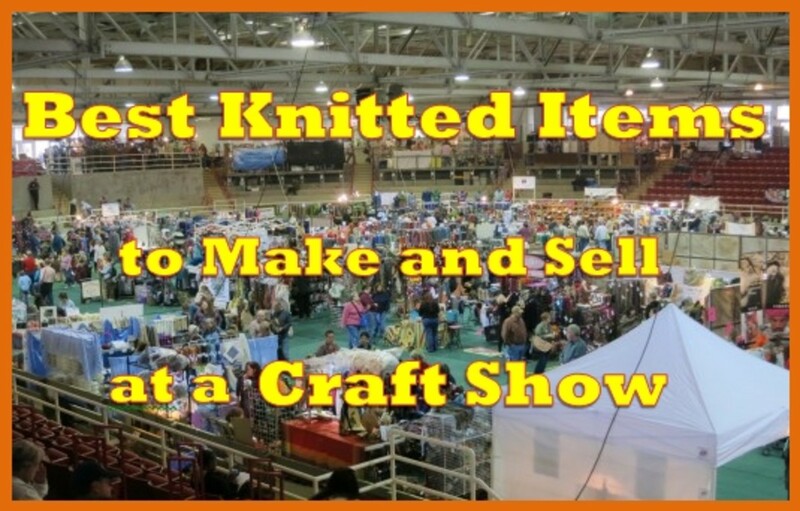 Check out the video, Hook, Yarn, & Slip Knot). This will be considered your first stitch. Hold the needle with knot in your left hand. Your thumb and index finger should be placed close to the point of the needle. This will help you control the needle. Your right hand will mostly be used to control the yarn coming for the skein. 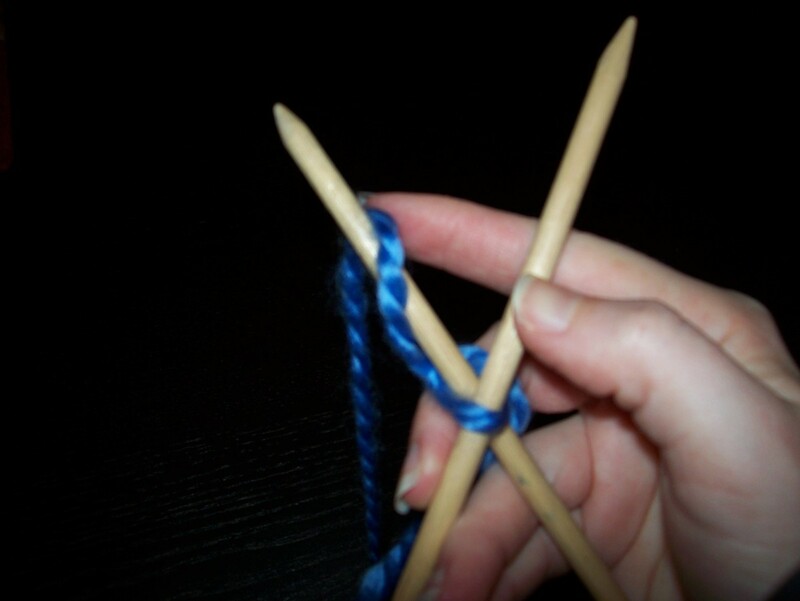 You will also hold the other knitting needle in your right hand. Again, place your fingers close to the point. 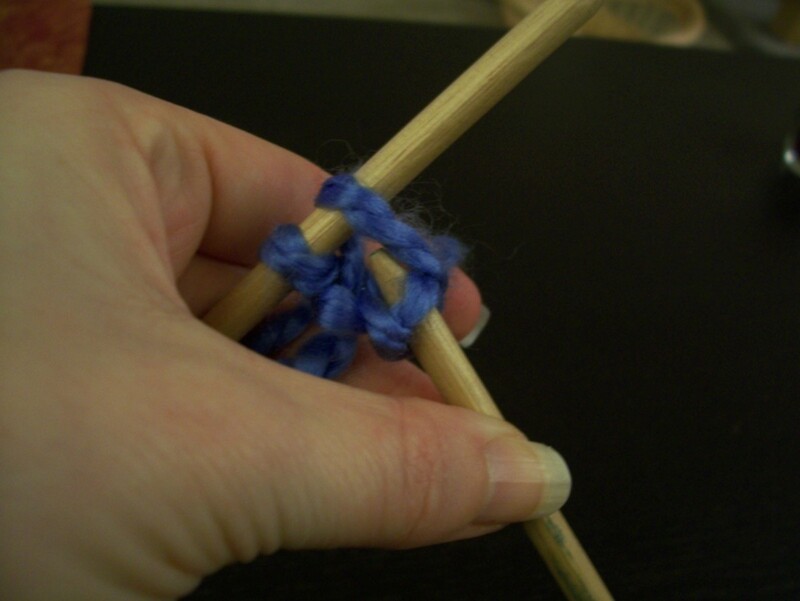 Insert the point of the right needles, from front to back, into the slip knot. the right needle will rest under the left needle. Hold the left needle in your left hand as you move your left fingers over to hold the right needle. 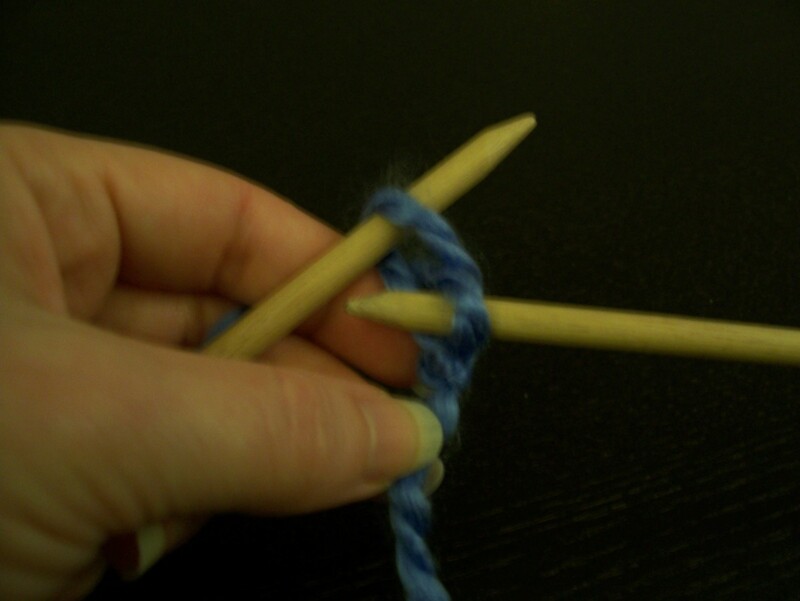 Use your right index finger to pick up the yarn from the skein, bringing the yarn under and over the point of the right needle (from left to right). Return your right fingers to the right needle. 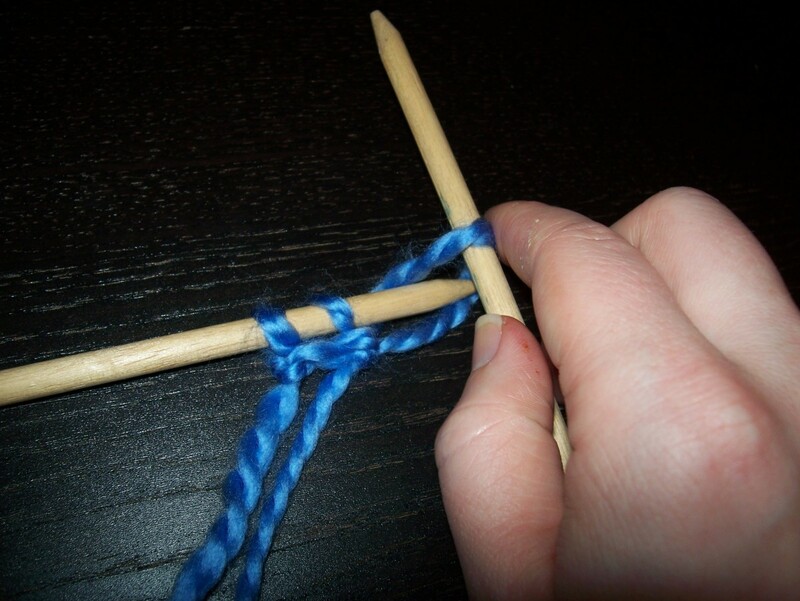 Draw the yarn through the existing sticth with the point of your right needle. 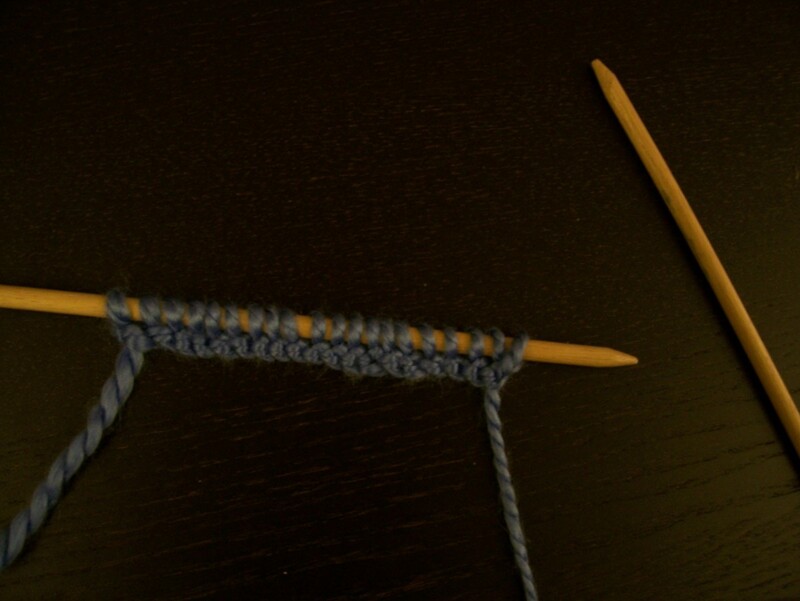 Slide the left needle into the new stitch by making the needles parallel to each other. 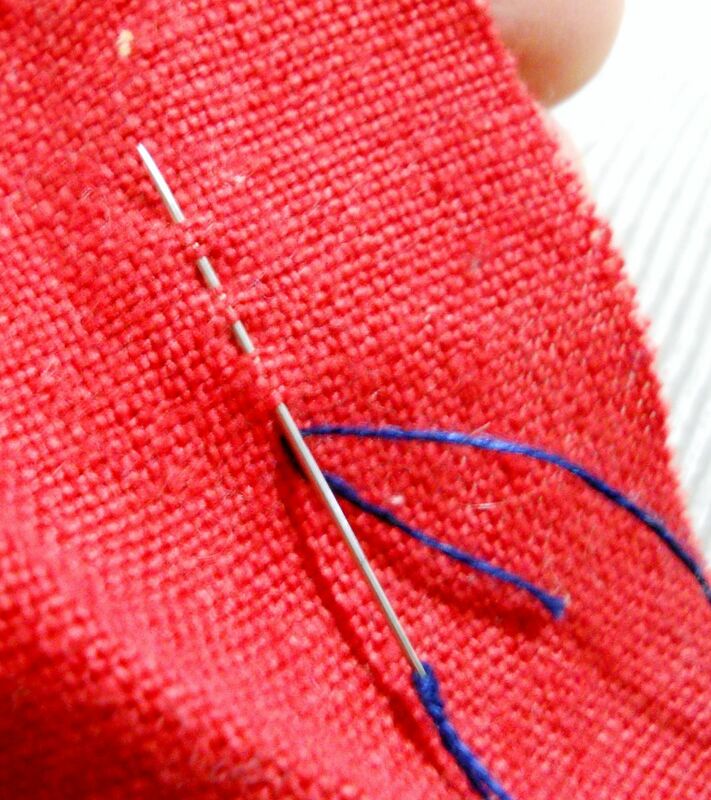 Remove the right needle from the stitch. 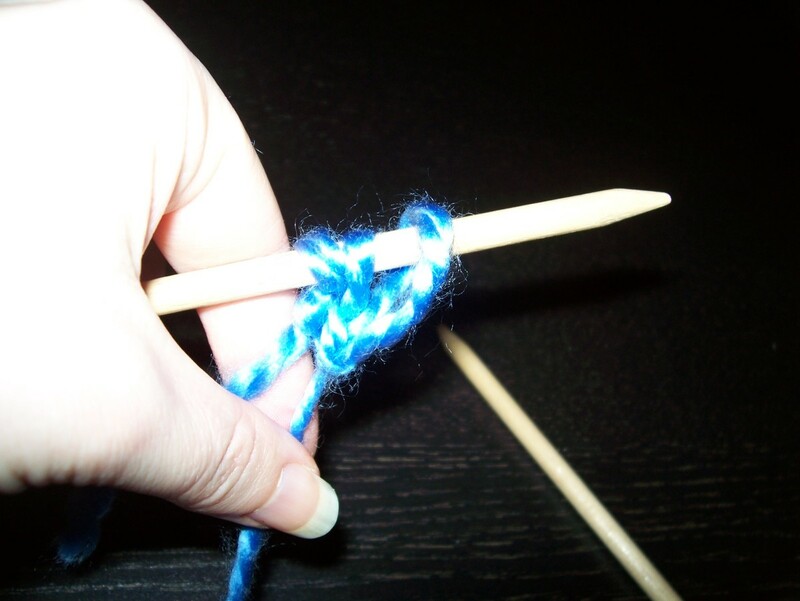 Pull the skein yarn gently, so the stitch is snug on the needle. You have now made a stitch. You should have two stitches on the left needle. Insert the poing of the right needle, from front to back, into the stitch you have just made, and under the left needle. Repeat steps 5 through 9 for the next stitch. Continue until you have as many stitches cast on as your pattern calls for. Practicing? It is easy to destroy the cast on stitches. Simply pull the needle out of the stitches. 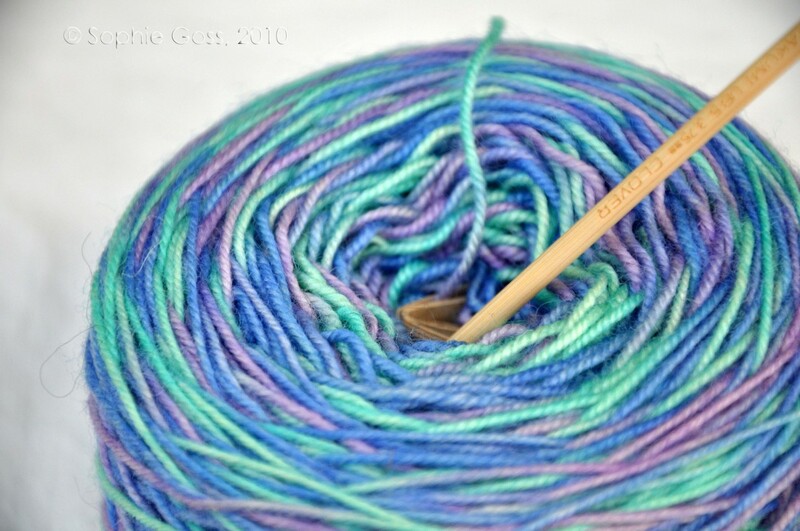 Wind the used yarn back onto the skein. 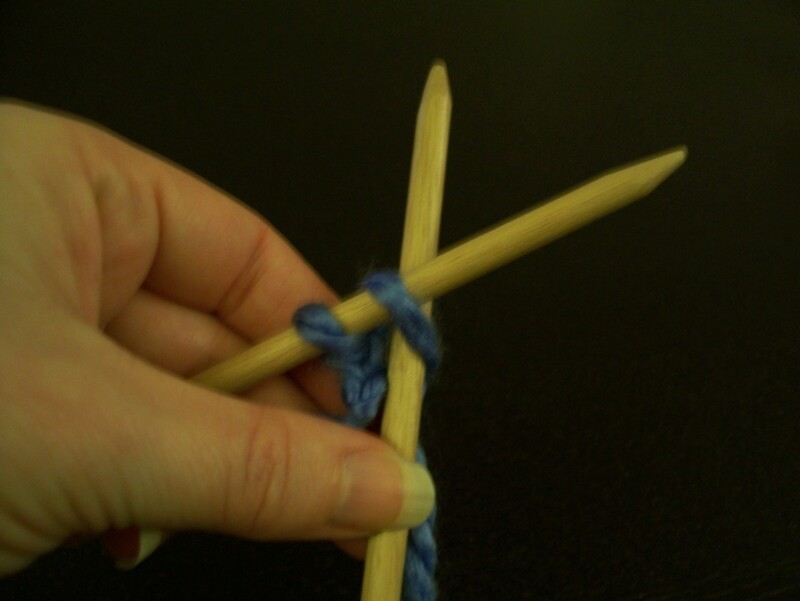 Tip: Beginners tend to knit very tightly, but this makes it difficult to slide the stitches on the needle. Try to relax, keeping the stitches loose. Ready to Make an Easy Scarf? Knitting is tougher to learn than I thought, thanks for the tips! i sort of got the instructions but you lost me with the pictures. Ok, question. Where in the yarn am I supposed to start? In the middle,on the end. Do I need to hook with one and use the other for...knitting? Its kinda CONFUSING to me... I am young and am looking at this with my mom... Can you make one for kids??? I really need help and it is kinda hard to learn. Please reply. Thank you! i can not see the dim pictures and the directions were complicated. i had a lot of trouble figuring it out. Awesome step-by-step instructions, WITH pictures! Great work! 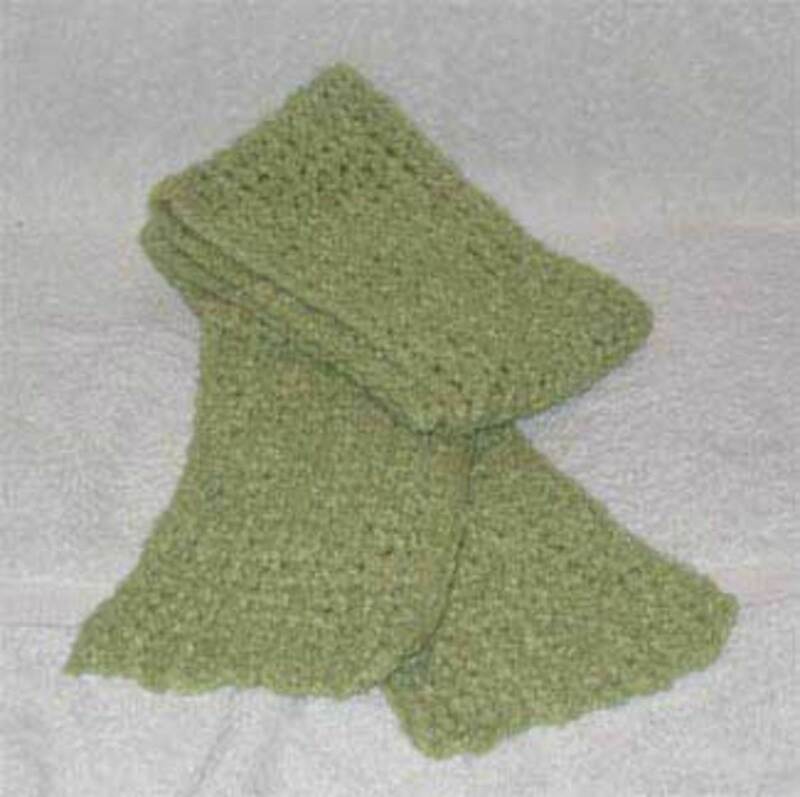 Ihave tried many websites to learn how to knit but im sure you have helped me the the most. Thank you! The instructions are to complicated. 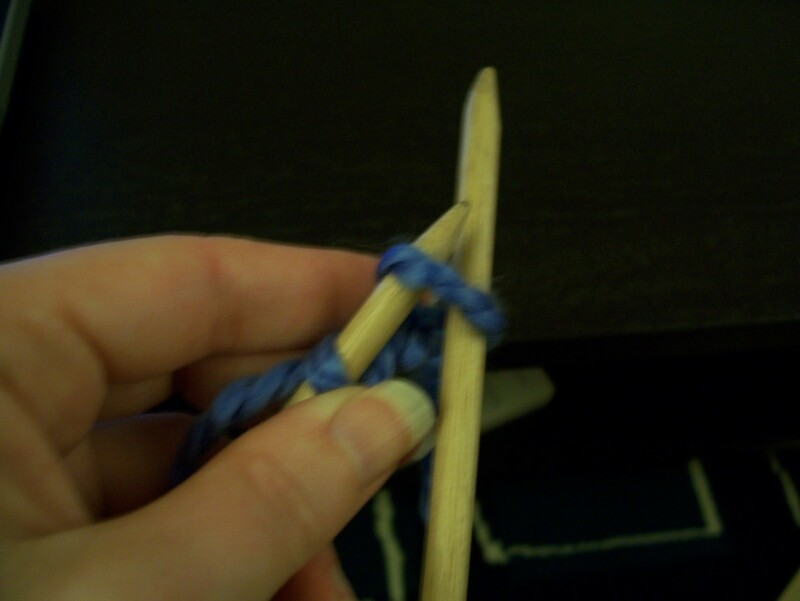 I almost exploded because it just made knitting more hard. 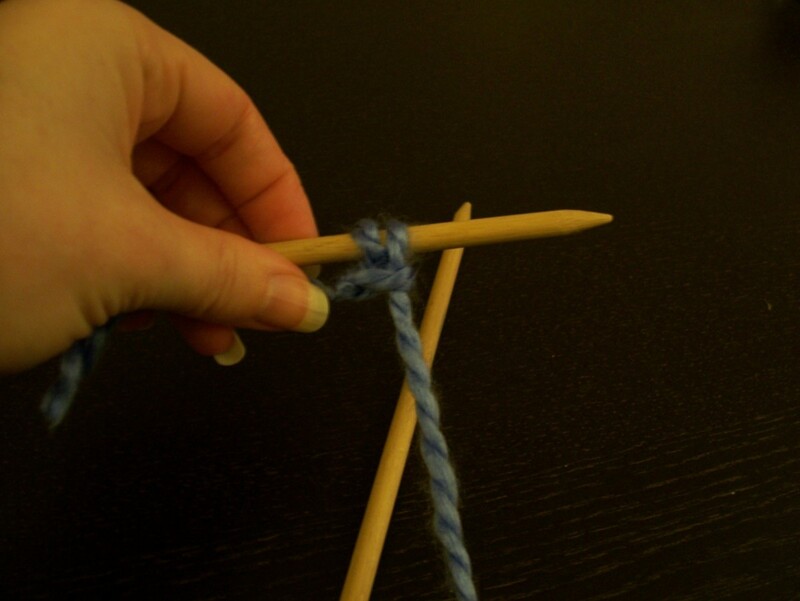 I know how to knitt but I never can remember how to cast on. I have tried videos but the person who is speaking was talking to fast and I was not able to comprehend what she was saying. does anyone have a pattern for grateful dead bears or a steal your face 13 point lightning bolt.. i'm trying to make deadhead gifts? 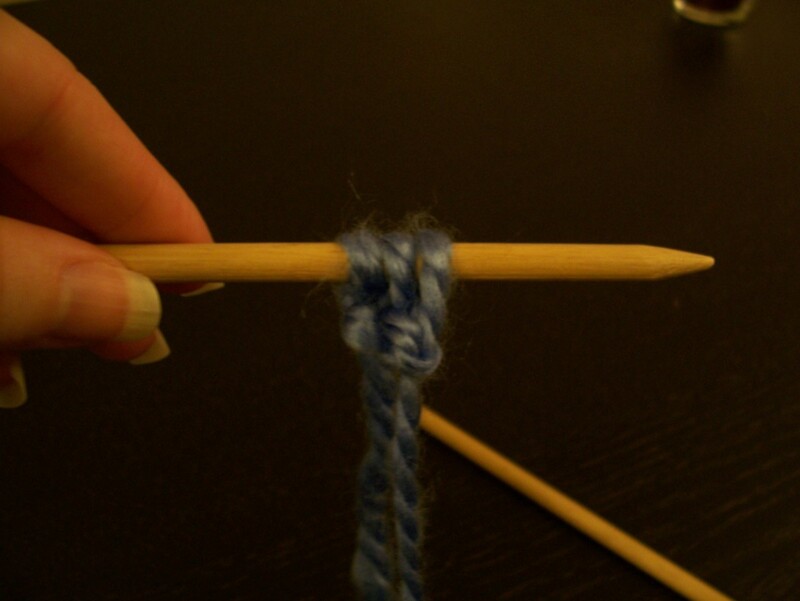 I could never learn to knit, my daughter is starting to learn, i told her she could teach me...but with this hub, i might have to get my own knitting needle and learn by myself. I am an avid knitter! Love creating my own designs! But it is great to see someone's else' methods! For all I know, some of my methods may just be bad habits developed over time! 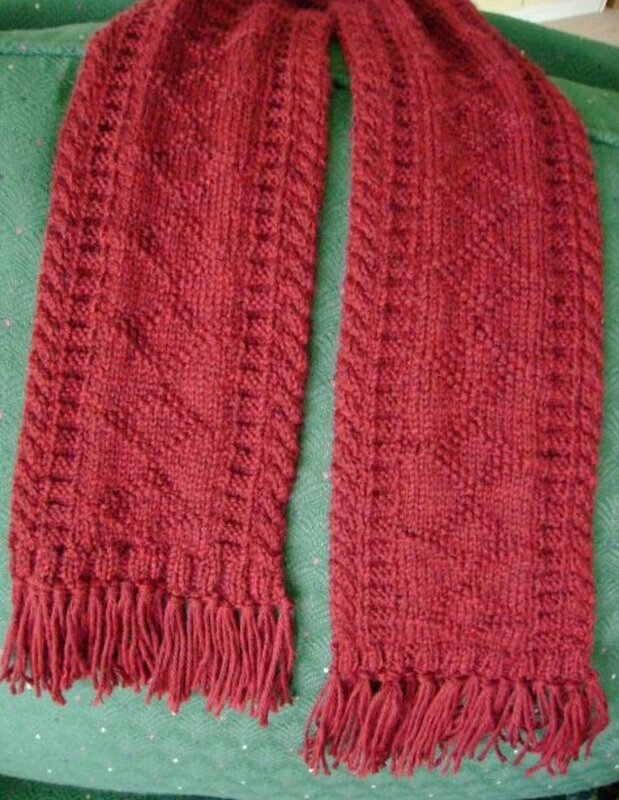 At one stage, I did have to change my style of knitting because I developed severe RSI. So I was forced to stop clutching the needles as if I was permanently desperate. How wonderful are the illustrations - much better than the book I had as a kid! Isabella, I meant to caption the pictures, but forgot--I'll fix that. Stay tuned. My mate loves to knitting in her spare times and she make all sorts of clothes like that. I'm expecting a whole series of hubs developing from this one!